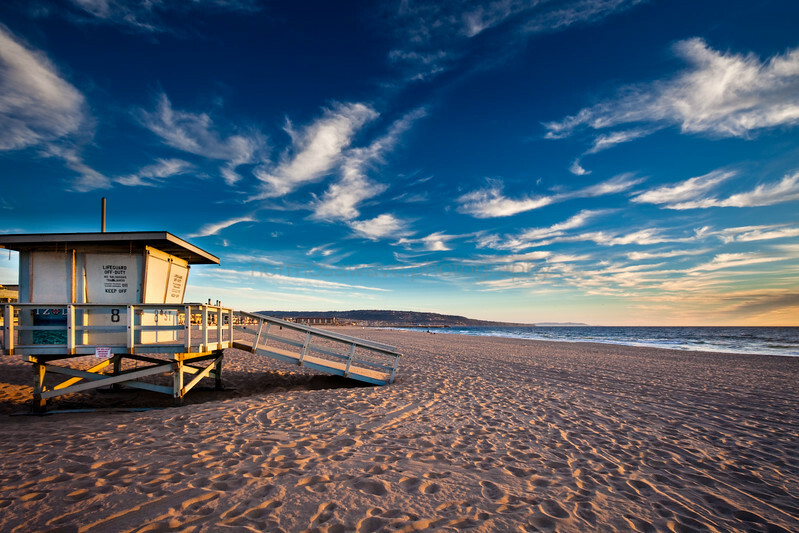 Looking through the 10th St. Lifeguard Tower. 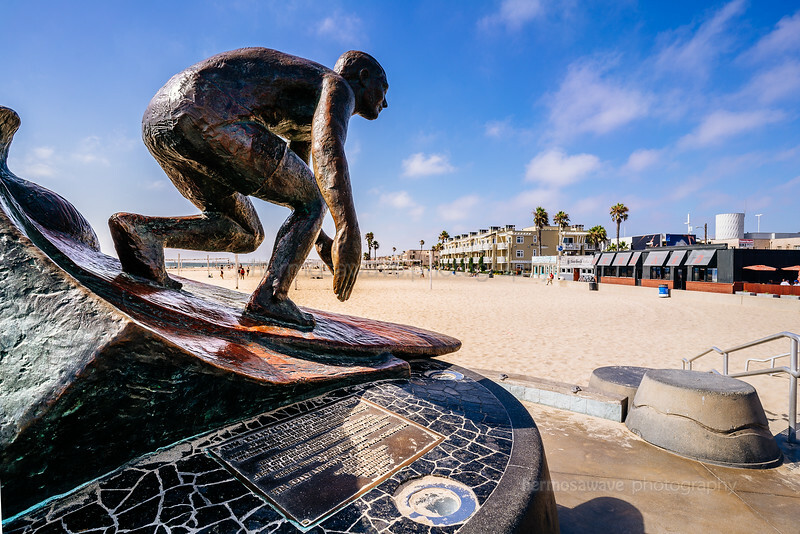 Beautiful wispy clouds and blue sky behind lifeguard Tim Kelly's statue at the Hermosa Beach Pier. 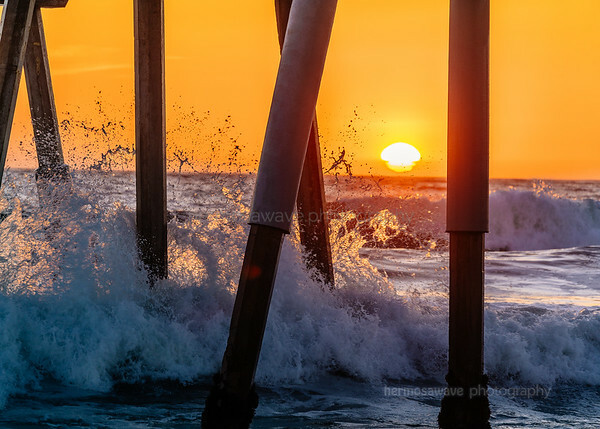 Waves create a splash when they hit the Hermosa Beach Pier. 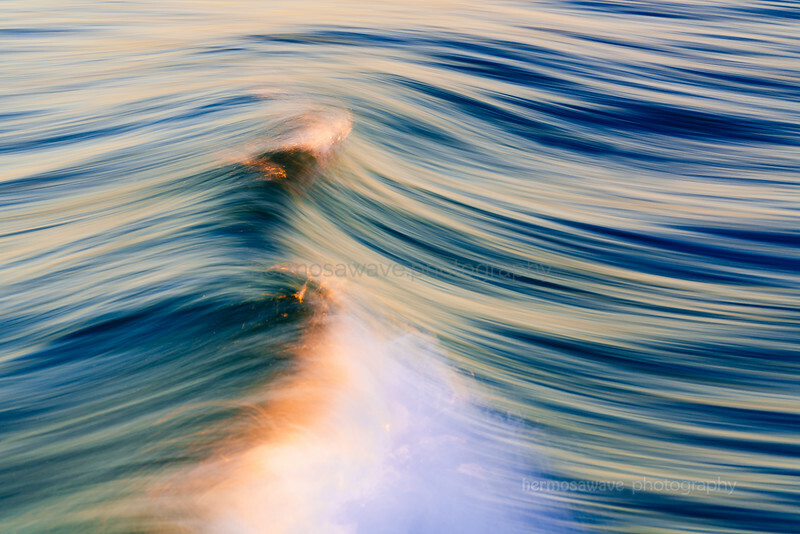 Slow exposure captures the movement of a small wave in Hermosa Beach. 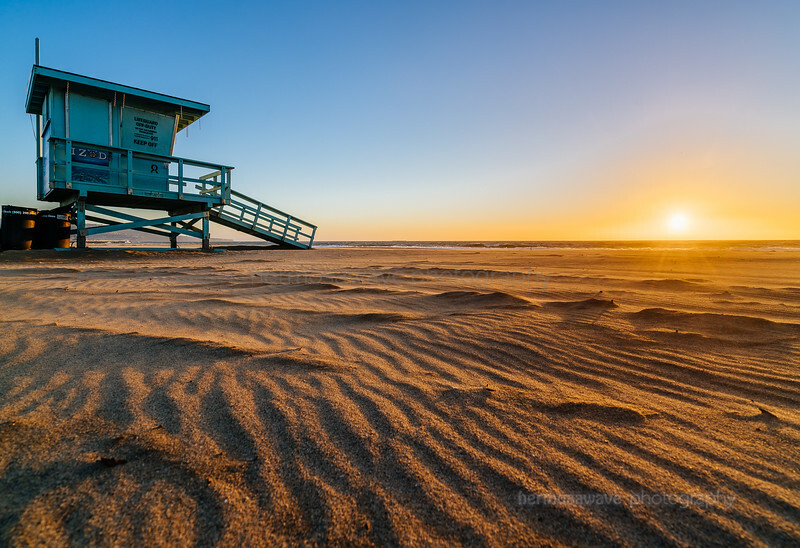 High winds create ripples in the sand, given extra contrast by the setting sun. 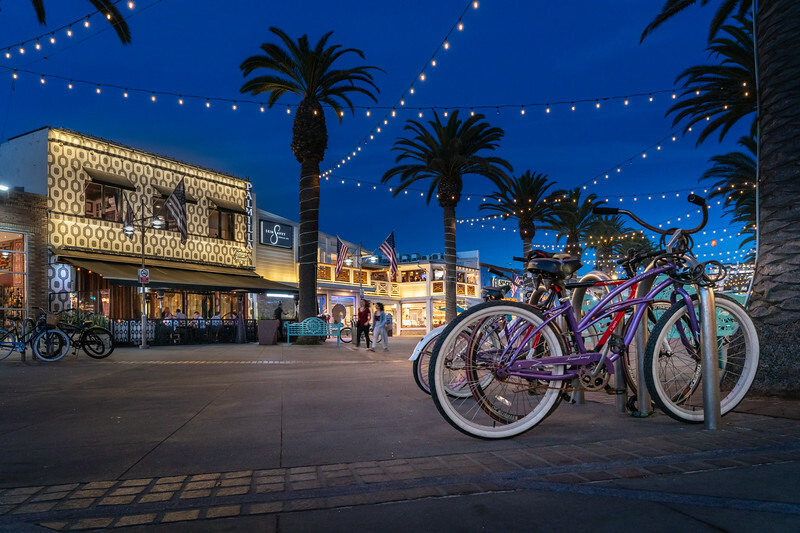 10th St. in Hermosa Beach. 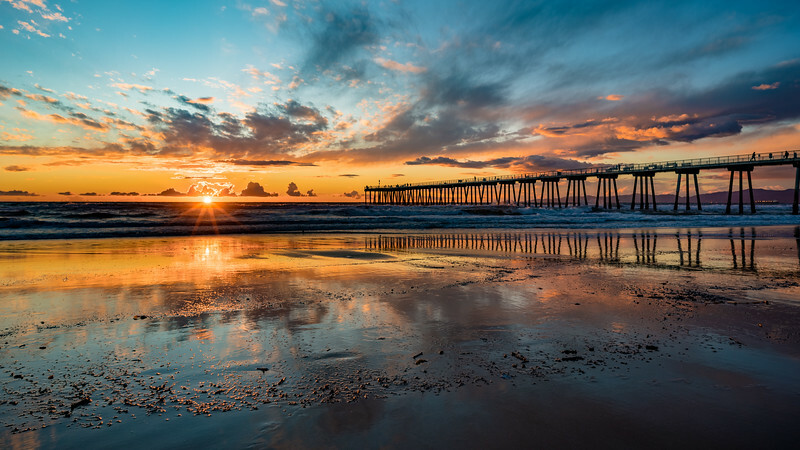 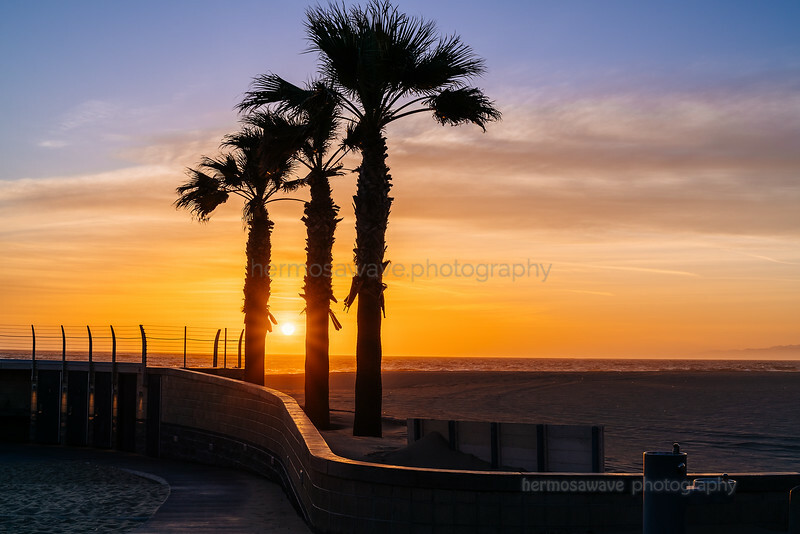 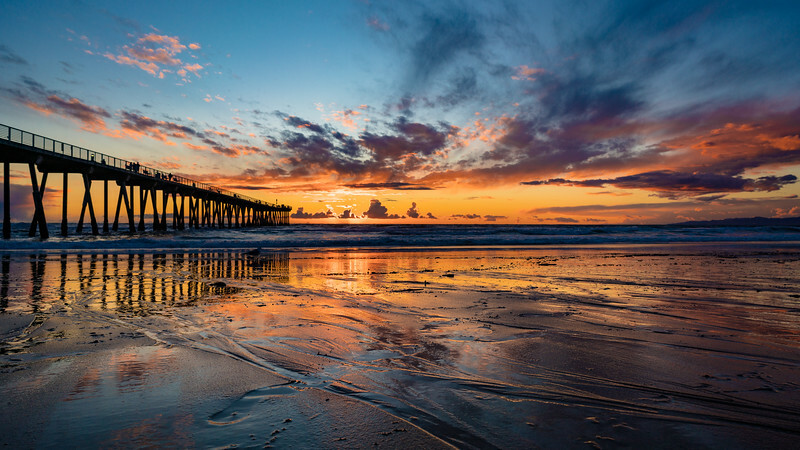 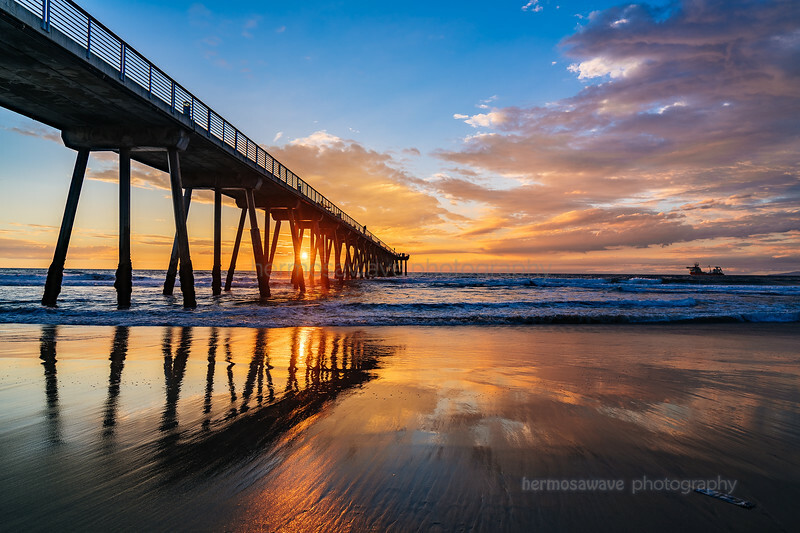 Sun sets through the Hermosa Pier, onto a sandy canvas a low tide. 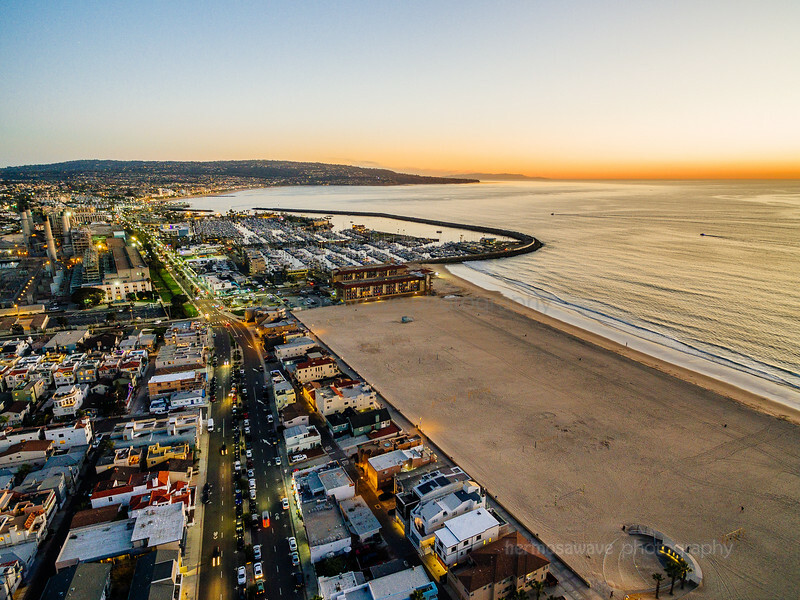 Looking south from above 2nd St. in Hermosa Beach, at King Harbor, Palos Verdes and Catalina Island in the distance. 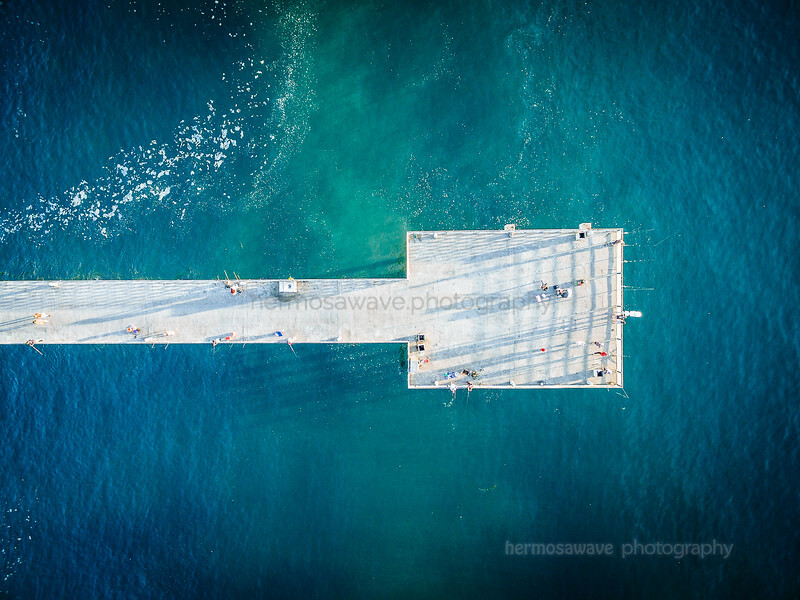 Looking down on the Hermosa Beach Pier, watching the fishermen. 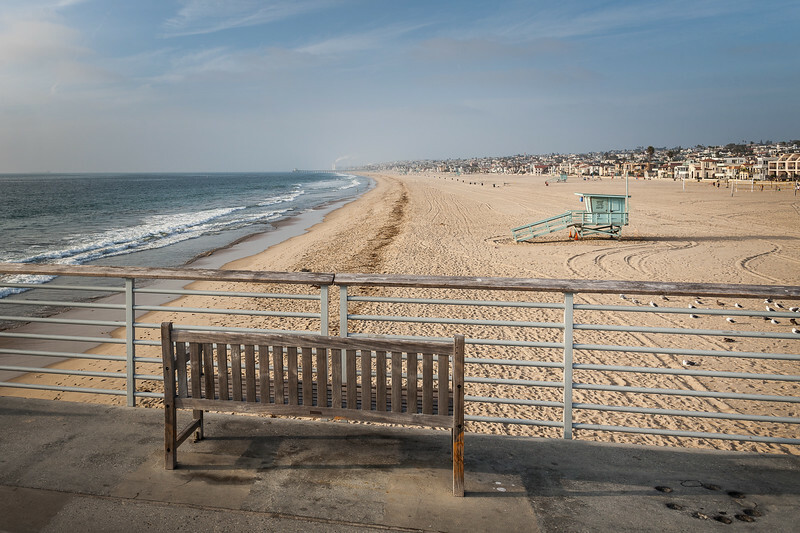 Pastoral look from the Hermosa Beach Pier. 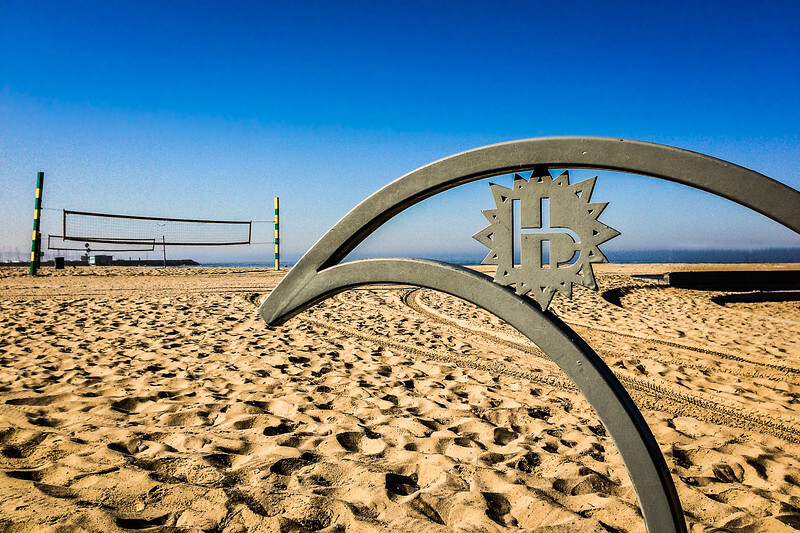 Palos Verdes and Catalina Island are visible from 8th St. in Hermosa Beach. 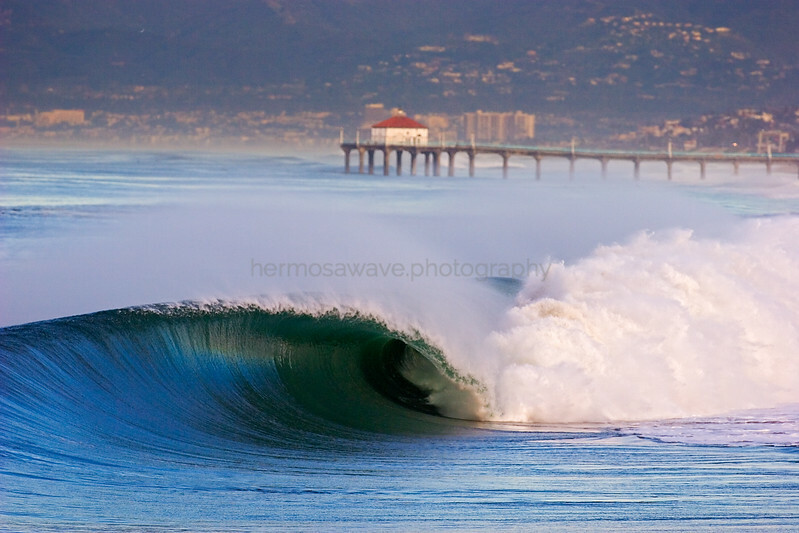 Big, strong waves this morning, taken from the Hermosa Beach Pier. 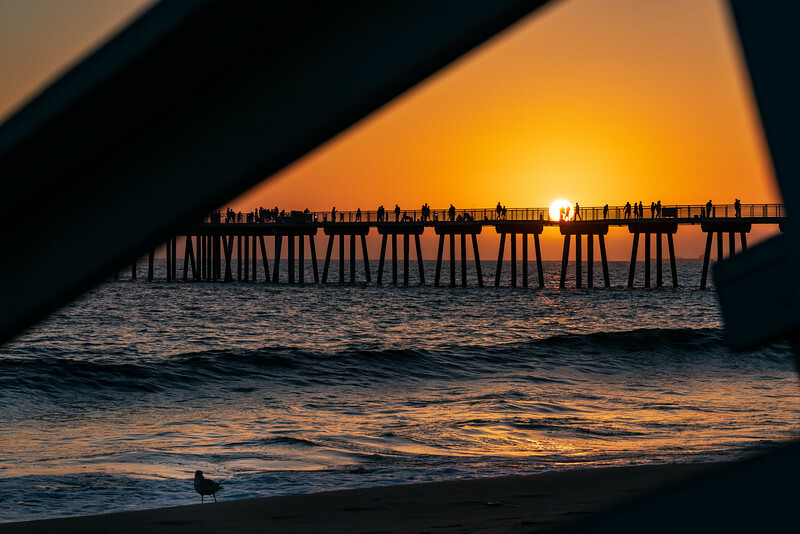 The Manhattan Beach Pier is in the background.